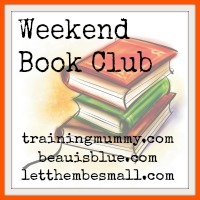 It is another week, which signals the start of another #weekendbookclub which is hosted by myself as well as Suz over at Beauisblue and Sarah over at Letthembesmall. The reason for the Weekend Book Club is so that you can let us know what you have been reading, or what your children has been reading. Do you have a book you love? Loathe? Think was okay? Then share your reviews with us here. You may be looking for ideas on what to read yourself or what to get your child so all book reviews and book related posts are encouraged. Since I started this linky I have come across so many book ideas for M or I to read and I can't wait to find more and more books to add to our "to-read" list. So welcome to the Weekend Book Club. Join in sharing what you have been reading with us each Saturday to Monday. If you share your links on Twitter use #weekendbookclub or tweet @trainingmummy, @beauisblue or @MsSBurns and we will do our best to retweet your posts. You can share as many links as you want, old or new. Books can be for anyone from babies to pensioners. 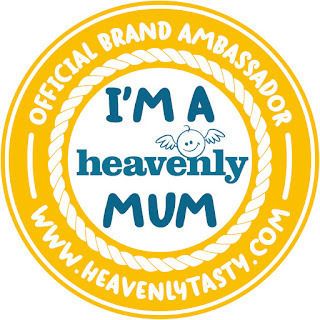 Grab the badge below and post it on your posts. Comment on at least two other posts. A linky isn't a linky unless you visit other people's links, please do. The linky will open each Saturday and will close on a Monday.